Contact Centre Volumes – Changing demands are one the most difficult parts of operating a contact centre – FACT! It’s one thing to simply manage scheduling, on a weekly basis but, when staffing needs change, adding and deploying new agents to a contact centre can be a frustrating and time-consuming process. Adding to the challenge is the fact that customers are more fickle than ever and are more than willing to move to alternative vendors for better customer service. Knowing that, a delay in being able to efficiently scale to handle periodic changes in customer engagement volumes in your contact centre can mean lost business and damage to your reputation. With many businesses already looking to hire seasonal help for the end-of-year holiday run, the question is, how can they ensure their contact centres can be easily scaled to accommodate the expected increase in volume during the holidays? Successful contact centres will put a high degree of importance on scalability and seek out solutions that will enable them to adjust to not only seasonal trends, but the ebbs and flows of normal business periods. Welcome to the cloud contact centre. The cloud is changing the model for contact centres and their ability to rapidly adjust to evolving needs. First and foremost, cloud-based contact centre platforms address the need for rapid scalability. Thanks to the inherent design of cloud-based or virtual contact centres, adding agents is an almost immediate process, alleviating the challenges of adding new agents with traditional contact centre solutions. Whether adding or removing many seasonal agents, or just a few new hires to accommodate growth, a SaaS model expedites the process and removes the burdens of onboarding. Because cloud-based agents require only a computer, reliable Internet connection, and a quality headset, agents can be deployed anywhere – in main locations, remote or secondary centres, or at home. That makes the hiring process easier and allows businesses to hire the best agents, regardless of where they reside. A cloud-based solution also allows businesses to activate on-demand agents as needed to handle daily fluctuations. Rather than over-hiring inbound or outbound agents to handle peak or seasonal periods, cloud platforms enable agents to be cross-trained for not only inbound and outbound engagements, but also across multiple channels, including voice, text, chat, email, and social media. A single cloud platform enables agents to switch between modes and adjust to peak needs seamlessly top maximize customer service. In addition to reducing the need for additional on-premises infrastructure, the cloud delivers several ongoing cost benefits. By using home-based agents, businesses can reduce their overhead by being able to expand without needing additional office space. Likewise, because the solution is maintained by the provider, in-house IT teams can be reduced and those teams can focus on core business operations. Additionally, because of the rapid scalability in either direction, businesses no longer have to pay for perpetual licenses to accommodate peaks. Instead, they add and remove agents as needed and pay for only those seats they use each month. If power or systems go down at a main site, calls can be easily transitioned to remote locations or home agents to maintain customer service availability. Likewise, agents can easily pack up and move to an alternate location to continue providing service. Contact centres that employ high percentages geographically dispersed home agents will experience much lower downtime due to power or network outages, ensuring they are able to consistently deliver on expectations. Cloud contact centres easily integrate with other business and contact centre applications, including CRM databases, workforce management and optimization software, and unified communications solutions that enable access to subject matter experts to help resolve customer inquiries more efficiently. In addition, they enable seamless integration between self-service capabilities and live agents, simplifying escalation and increasing resolution rates. Fluctuating interaction volumes can be a challenge, particularly with traditional on-premises contact centre solutions. Cloud provides immediate scalability, improving customer service, reducing hold times, and allowing teams to meet their SLAs. Cloud-based contact centres add flexibility to deployments and allow managers and executives to spend more time on improving other aspects of their businesses, rather than worrying about having enough capacity to handle call volumes. 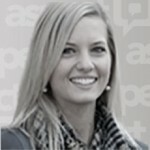 Rebecca Anderson is Senior Marketing Specialists at Aspect Sotware. Rebecca writes on the latest research and trends related to the customer experience focusing on omni-channel and the agent experience. Aspect helps enterprises break down the walls between people, processes, systems and data sources, empowering organisations to unite around the customer journey. Our customer engagement centre offers native interaction management, workforce optimisation and self-service capabilities that drive dynamic, conversational interactions and create a truly frictionless omni-channel customer experience.